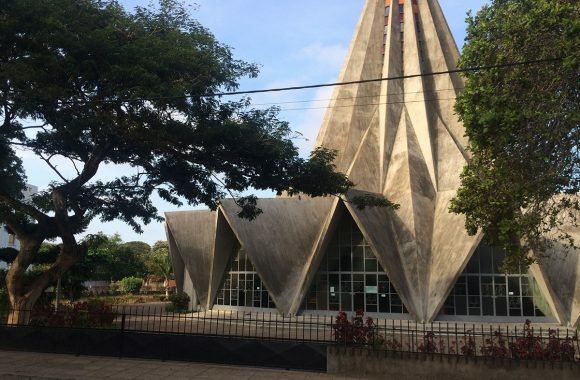 The Church of Santo António da Polana, inaugurated in 1962 to the designs of Nuno Craveiro Lopes, is an extraordinary formal gesture in its context – a 20th century suburb of Maputo, Mozambique – but it also represents an extraordinary political gesture, a bravura piece of patronage which rejected the colonial state-sponsored mock-rural architectural language of ‘Portuguese suave’ in favour of something at the fringes of what was then culturally and technically possible. Standing on the street in front of the church today, its folded concrete shell is mountainous and slightly ungainly. When new, standing at the centre of a new suburb primarily intended for wealthy Portuguese, it must have been an even more extraordinary sight, a self-confident counterpoint to the whitewashed suburban villas popping up around it in neat gridiron. 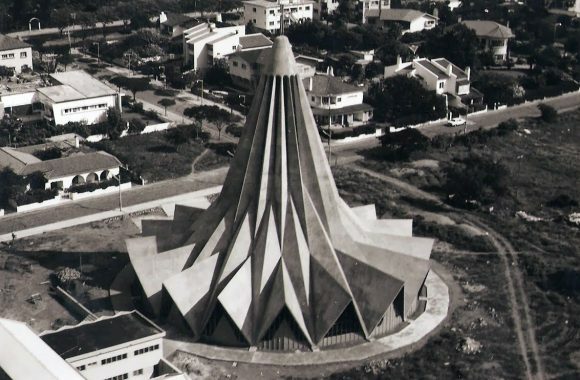 In 1958, the church community had rejected a scheme by Lisbon-based (and state-sponsored) architect Luis Possolo which was of a much more conventional character; modernist in spirit but traditionalist in form, at the progressive end of the ‘Portuguese Suave’ language that had come, by this point, to be the favoured architectural expression of Salazar’s Estado Novo regime back in Portugal. ‘Portuguese Suave’ tended to dress government buildings and schools as smoothed-off baroque palaces, villas as vernacular farm buildings, and churches as, well, churches – marrying readily legible church-like form-making with more contemporary applied pattern and decoration. 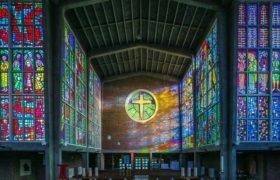 This language wasn’t acceptable to the commissioners of the Church of Santo António, who instead supported a rival project by Nuno Craveiro Lopes, much to the anger of the Lisbon-controlled city council. Lopes, also Portuguese, had been in Mozambique since 1952, lying low following some years of political activism contrary to the Estado Novo regime back home. Lopes was the son of the then-incumbent President of the Portuguese Republic, Francisco Craveiro Lopes, who himself had been somewhat critical of the regime in Portugal and was advised to move his son abroad for his own safety. 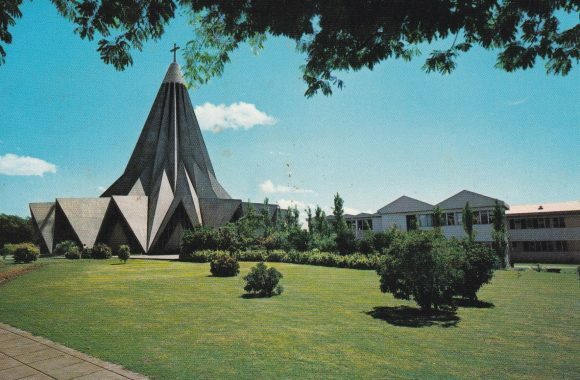 Lopes’ design for the Polana church, which was also radical internally thanks to its central altar and radial congregation, was a bold gesture by both its client and its architect, situating itself assertively in a complex political moment: between colonial orthodoxy and the emergent ideas of a colonised nation. Alongside contemporaries like Pancho Guedes, Lopes’ work looked to create an internationally progressive architecture that was also formally responsive to its context, reflecting a growing awareness of indigenous forms, climate and identity. 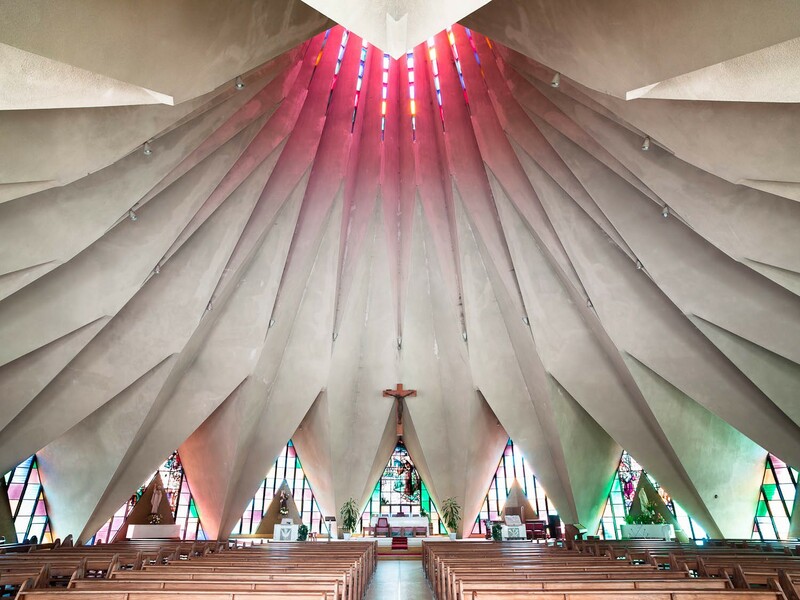 If the exterior of the Polana church is an assertive statement about new forms and new societies, internally this translates into a remarkably delicate folded form; the concrete is papery and smooth, thin strands of stained glass sit between the folds. 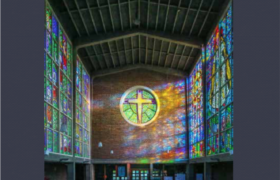 It is a peaceful space, connected to a contemporary global tendency toward church building in the round which includes Niemeyer’s Brasília Cathedral, Gibberd’s Liverpool Metropolitan Cathedral and Our Lady of Guadelope, Madrid, by Felix Candela, Enrique de la Mora y Palomar and José Ramón Azpiazu. 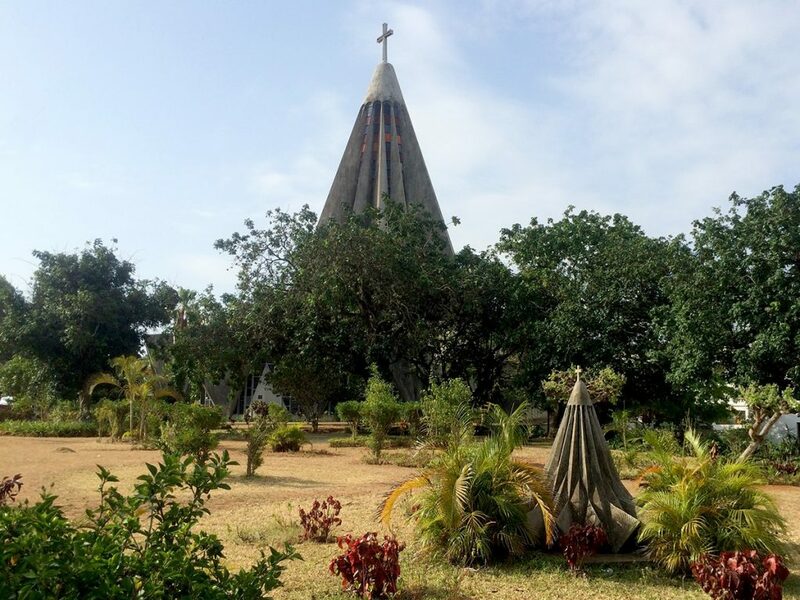 Within two years of the church’s completion, the war of independence began that would eventually, in 1974, lead to Mozambique breaking away from Portugal and expelling the vast majority of Portuguese from the country. Lopes never saw this; he died two years beforehand and was buried in Maputo. Santo António da Polana is the most dramatic moment in a series of remarkable modernist projects in the suburb of Polana, dotted in amongst what is otherwise a conventional mid-century suburb. In amongst the villas there is Pancho Guedes’ remarkable 1958 nursery school, composed of a series of pyramidal outdoor rooms linked by a spine block. There is Polana Secondary School, a complex Brutalist work by João José Tinoco and José Forjaz which rejects the urban plan of Polana in favour of a north-south orientation which creates a series of courtyards between open classrooms, and a central spine which is more street than corridor. And there are also the Matos Ribeiro ‘semi-detached’ villas (1952-53) and the Tres Girafas house (1956-58), both by Pancho Guedes and featuring his giraffe-y expressive chimneys, which continue to poke up over the increasingly high hedges and garden walls of the suburb. Taken as a set, these projects speak of the potential of the colonial suburb to be a site of radical spatial and political ideas, ideas which remain powerful.